In 3 short generations, most of us have lost the knowledge to grow our own food. Organic fruits and vegetables not only keep you healthy, but they create sustainable local food systems. 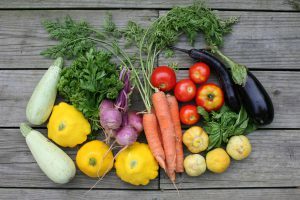 If you are concerned about where your food comes from, what’s in it or on it, or simply want to get the best nutrition possible for your family -– growing your own vegetables and fruit is the answer. 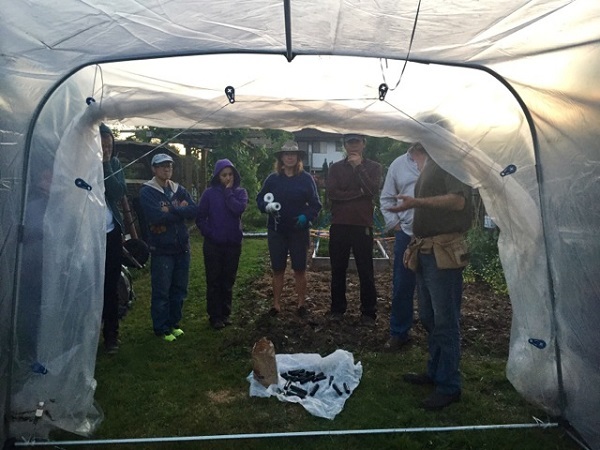 This course is open to everyone; no prior gardening experience is required. The Organic Master Gardener Certificate program would be beneficial either before, during or after this program. Computer skills and an internet connection are essential for access to resource materials, class communications and education updates. This is a paperless course. Explore how human health is inextricably linked to plant health and ultimately soil health. Discuss issues of food security, ecological footprint and nutrition. 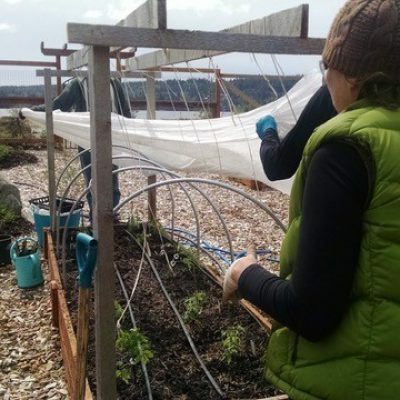 Learn how holistic management practices such as organic gardening and permaculture design can improve human and environmental health. Find out how even the smallest garden can provide a bounty of fresh fruits and berries for eating right off the tree or storing and freezing for the winter. A little knowledge of how water is held in and moves through the soil spawns many creative ideas for collecting and storing this precious resource for optimal landscape health. Learn how to select and grow an abundance of vegetables from seed for year round harvest. Learn which varieties perform well in your area, and the conditions they require for germination and optimal yields. Start your first batch of seeds for your garden. Recognize and optimize your garden’s assets: microclimates, pockets of extreme sun or shade, the soil. 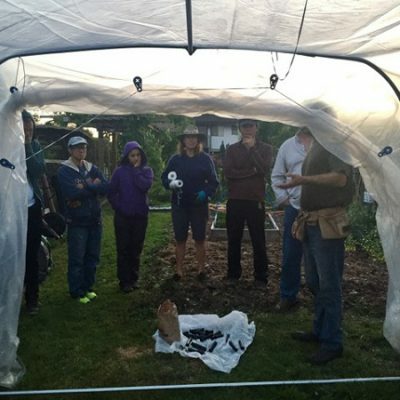 Perform a sun / shade audit and a variety of soil tests. 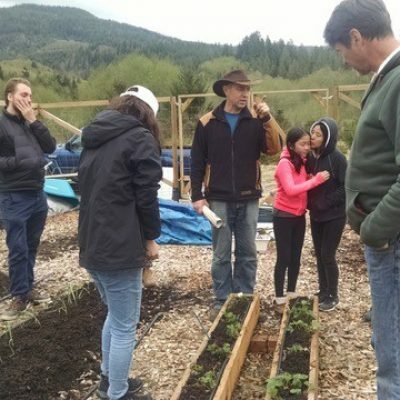 Learn about the essence of holistic, integrated design, the great wisdom of permaculture, age-old practices like crop rotation and succession planting, and how to bring it all together to create a master plan for your own food garden. Explore the pros and cons of various construction materials. Think outside the box to solve problems creatively, to achieve more with less. Build a compost bin and learn about many other ways of recycling your garden’s waste. Time to prepare your beds for seeding and planting. 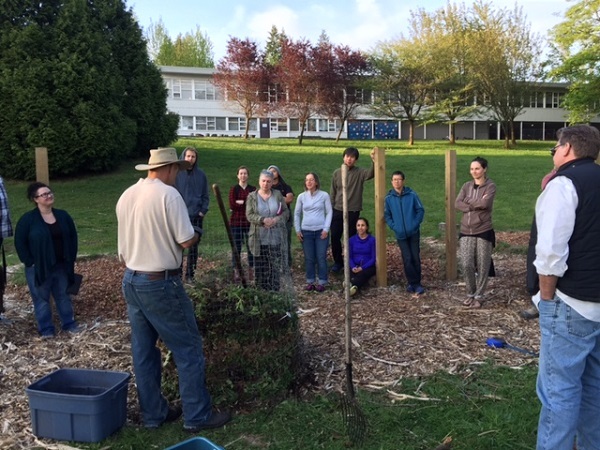 You’ll be sheet mulching, double digging and building a raised bed. Getting the seed into the ground is a moment filled with joy and expectation of harvests to come. Explore various ways to protect your new plants from being eaten by your friendly neighbourhood slugs, cutworms or rabbits. Install a drip line and a rain barrel, program a timer, build a self-watering container and perform an irrigation audit. 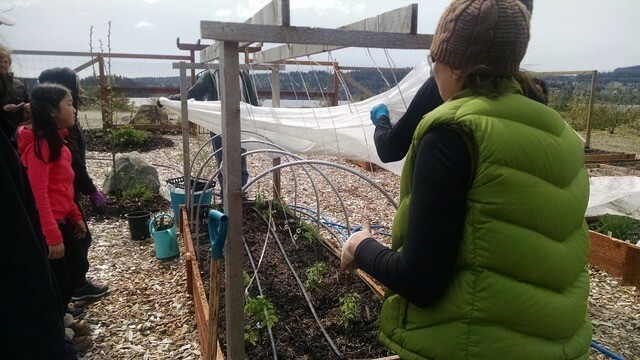 Learn to make a variety of trellises and support systems for beans, squashes, vines and berries. 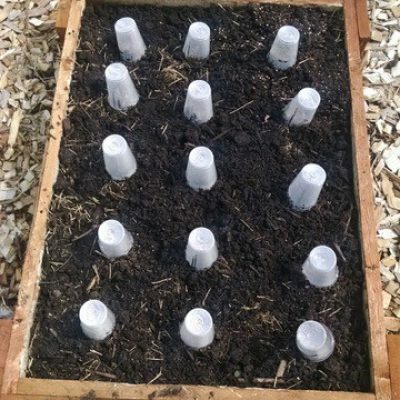 Make your own potting mix for container grown veggies or summer annuals. Learn to recognize plant problems and how to solve them in a holistic way. Build a compost tea brewer and learn to correctly use microbial solutions and natural fertilizers to improve plant health. Discuss ways of integrating livestock into your garden for effortless improvement of soil fertility. 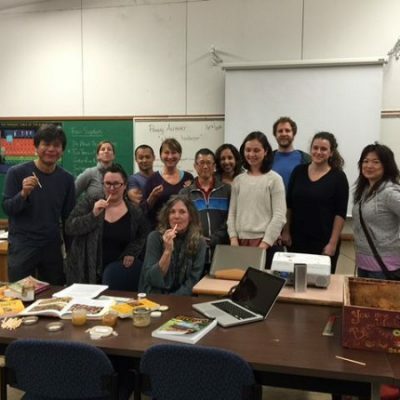 Session 13 – Edible? Incredible! A field trip into the wild. Learn to recognize and harvest a variety of native and introduced wild plants to add a little zest to your diet. Learn about Growing Food Indoors -from sprouting seeds to wheatgrass and windowsill herbs, many food plants can be grown indoors to add a little freshness to the winter diet. Harvest the bounty and learn how to store many crops for the winter. Preserve genetic diversity and save lots of money by saving your seeds for next year’s garden. Learn basic dehydration and freezing techniques. 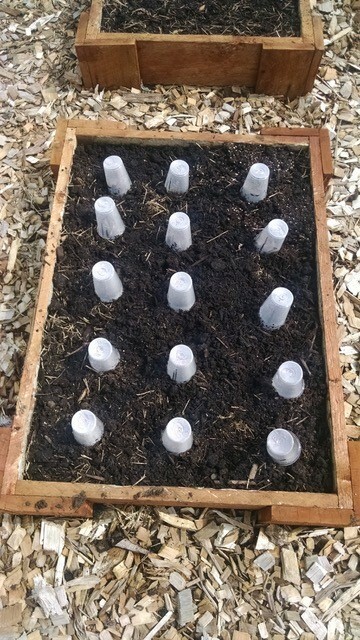 Time to plant out your winter veggie starts and get the garlic in the ground. Learn about cover crops and various methods of winter protection. Michelle Young is an avid organic farmer who has spent the last 25 years working in the organic land-care field. She took the barren back yard of their house and transformed it into an urban market garden. The goal was to create a garden that was both bountiful and beautiful. 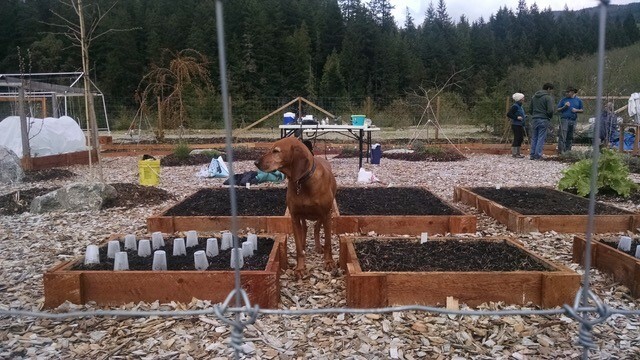 She and her partner used innovative organic growing techniques to produce large amounts of nutritious food. In first year, the garden yielded over 2 pounds per square foot – equivalent of 88,000 pounds per acre. 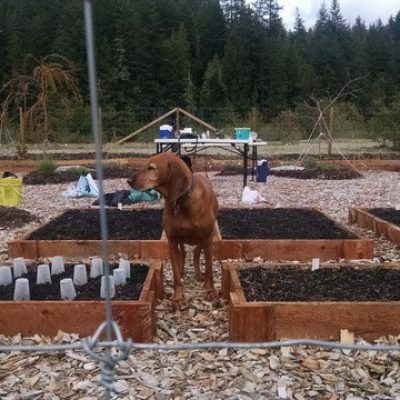 Ruby’s Run Urban Farms (the first urban farm in Sechelt) was established. 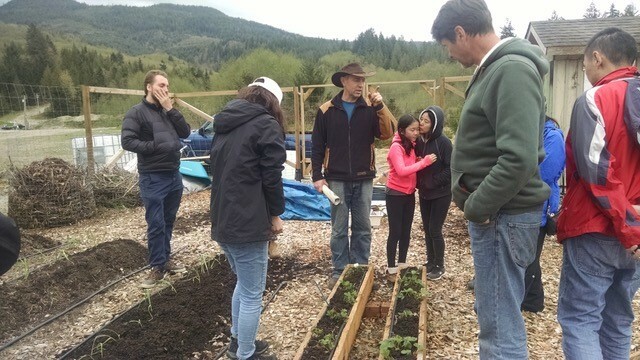 In addition to supplying all of their own produce for the summer, they provided Garden Gate Sales to local residents and supplied produce to local restaurants. 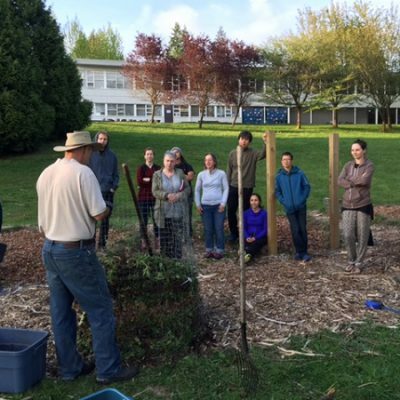 In the spring of 2014, Michelle was invited to co-create Sechelt’s second urban farm, under contract to a First Nations composting facility. The initial task was to demonstrate land reclamation in a more wholesome fashion than what had traditionally been done. The result was a 1.5 acre organic food farm established on an abandoned tailings pond of a large, active gravel mining operation. The farm flourished and the surrounding ecosystem was re-established with the First Nations elders celebrating the return of the frogs to the area. 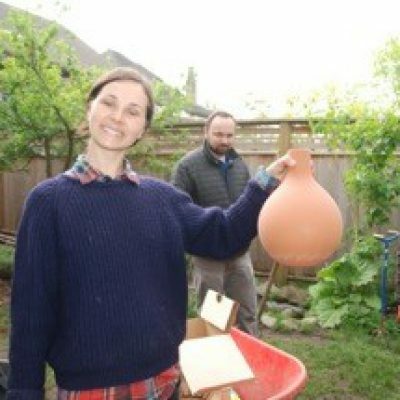 Michelle enthusiastically endorses the process of increasing local, natural food production while simultaneously beautifying the neighbourhood. She believes the time is “now” for supplying nutritious, locally-grown produce to the people and understands the importance of her community having a healthy relationship with their food and those who produce it. What can I say about someone who has been so willing to share her experience and who is so knowledgeable, patient, respectful, and kind. She is clearly passionate about growing food, and about inspiring others to take responsibility for their environment, their food and to claim their space within the bigger picture. Whether I grow and harvest food, or shop at the Farmer’s Market, my perspective on what goes into producing what goes on the table has irrevocably been changed. She is an inspiration. I appreciated they way the timing of the courses was adjusted to align with what we should be doing in our own gardens. I feel that Michelle was an incredible teacher with such a wealth of knowledge about the topic of growing organic food. She brought her own delightful personality and enthusiasm to the course and made the experience so enjoyable. I looked forward to going to class because I knew I would learn so many interesting, relevant things from Michelle as well as have a great time with her and my classmates. 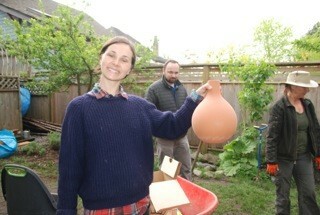 Michelle is such a successful gardener and has such great experience to draw from when teaching. She was really great about bringing things from her garden or pantry! for us to see, touch, taste. This really made the class interactive and inspiring. I loved the guest speaker she chose to bring in who spoke of bee keeping – a very good fit. 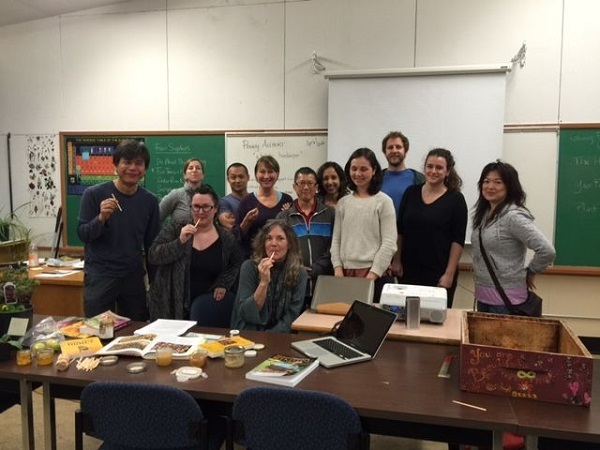 Michelle was very good at teaching, answering questions and inspiring us to grow good food. Most importantly Michelle’s teaching comes from the heart. She is deeply connected to what she does and it shows in the quality of her class. Her enthusiasm was so inspiring. I hope to keep in touch with Michelle as I continue along my gardening path as I consider her such a true gem of a person.